The Line up - Number 6 step forward! As our sheep grow, they are becoming more friendly. However they are never far away from their mums. 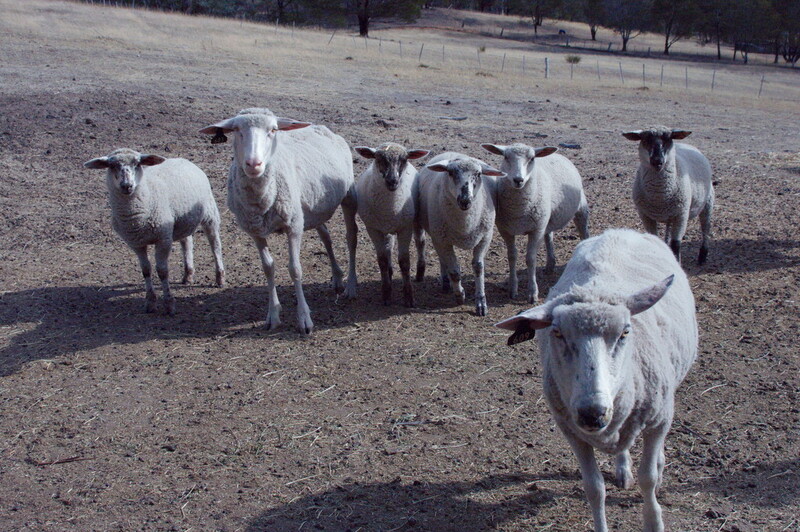 The ewe in the front (number 6) is our most friendliest one. She is always coming up to us and loving a scratch around the head and ears. - I think it's getting to the stage were we will have to give her a name .... any ideas? Love how they are all looking at you. Were you talking to them? Great that they all looking at you! We have a childrensbook about sheep Veronica who gets in all sorts of adventures!